Modernizing Russia’s armed forces has been a primary concern of Dmitry Medvedev; as he prepares to leave the presidency, he took stock of reforms in the sector. The reform has been carried out under the supervision of Defense Minister Anatoly Serdyukov, who was appointed to his post on Feb. 15, 2007 during a similar review meeting of the Defense Ministry. His appointment was met with a mixed reaction from the military establishment. Many were puzzled by the fact that a former taxman with a commercial past and no military experience was selected for the position of defense minister, however, it soon became clear that Serdyukov had been given carte blanche to perform an important and thankless task. He was to begin building fundamentally a new fighting force. Change did not begin immediately. The new minister needed time to understand what kind of legacy he had inherited from his predecessors. It took time to form a new team and staff and establish relationships with the military establishment. As a result, although Serdyukov was appointed by Vladimir Putin, the reform was carried out during Dmitry Medvedev’s presidency. The man directly charged with implementing the reform was General Nikolai Markov, who became chief of the General Staff in 2008. The changes he initiated affected virtually all elements of the armed forces. The number of personnel was quickly reduced to 1 million, with all units moved into the deployable category. At the same time, the officer corps was cut from 355,000 to about 150,000. “As a result, the number of officers left was what was really needed to command the forces,” said a source at the General Staff. The old system of parallel units manned only by conscripts or only by servicemen under voluntary contracts was abolished. The military administrative divisions also underwent a restructuring. Four military districts were created out of the preexisting six to bring the military districts in line with the air defense zones. The reform of the air divisions is ongoing. There is still a plan to create seven large air bases and on Dec. 1 last year, Medvedev established the Aerospace Defense Forces out of the Space Forces and the Moscow Region Air Defense Command to pool the resources of air defense and ballistic missile defense systems and early missile attack warning and space control systems. All these are now under a single control center. The airborne troops were less affected by the restructuring than other services. They were divided according to specialty into paratroops and assault landing forces. The Navy has also seen its share of restructuring. The coastal and land naval forces were fully staffed and the fleets were included in the newly formed military districts. All functions related to servicing equipment, maintaining garrisons, catering, and domestic amenities were outsourced to the open joint-stock company Oboronservis (Defense Service). The General Staff got a new look, as well. Its operational and administrative functions were divided into two spheres: the planning of the use and development of the armed forces, and the planning of comprehensive supplies. The restructuring was not publicly announced, but the Main Operations Directorate was slashed by 40 percent, and only five out of the eight units of the Main Intelligence Directorate (GRU) remain. Between 2008 and 2011 the army was supplied with 39 intercontinental ballistic missiles (including the Yars and Topol-M), two submarines, four surface ships, five military speedboats, 374 aircraft, 12 operational-tactical Iskander missiles, 106 Air Force air defense complexes, 79 anti-aircraft missiles, as well as 2,300 armored vehicles. The four years of Dmitry Medvedev’s presidency were plagued by problems with fulfilling orders for weapons from government contractors. In May last year, the president’s patience ran out. In 2010, the forces were to be provided with 30 strategic ballistic missiles, five Iskander missiles, about 300 armored vehicles, 30 helicopters, 28 warplanes, three nuclear submarines and one “corvette”-class patrol vessel and 11 satellites. There were complaints on almost all points. Medvedev demanded to know why the orders weren’t fulfilled. reminding the contractors of their commitments. Soon after, some managers of defense enterprises and military officials were fired. Later, Serdyukov created a special pricing department and a specialized military technology procurement agency, Rosoboronpostavka, as part of the Defense Ministry. Another notable fact is that during the past three years Russia and France eventually agreed on the purchase of two Mistral helicopter carriers and signed a contract to build two similar dock ships. Russia’s purchase of weapons from a NATO country would have been inconceivable before the reform, but now purchases are made based on the need of the country to have the latest technology. 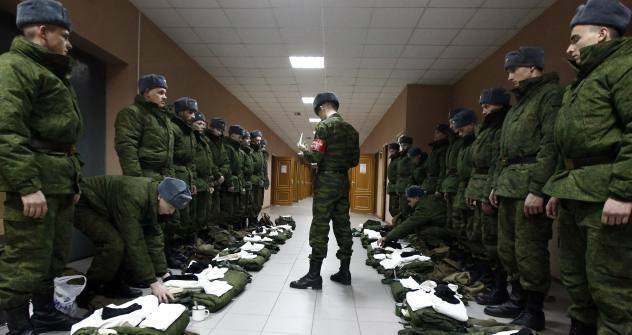 The present-day Russian army differs strikingly from what Dmitry Medvedev inherited in 2008. The underlying idea of the reform has to some extent been realized: the army has become leaner and meaner fighting force. However, some problems remain. While the president significantly raised military salaries as of Jan. 1 2012, only a dent has been made in resolving the housing issue. In the president’s claim “the reform has almost been completed,” the emphasis should be placed on the “almost.” The overall plan of action seems to have been carried out, but the devil is in the details. More action is needed to bring the reform to its conclusion. First, a new system of armed forces control must be created and provided with modern technology. Second, the introduction of new structures must be matched by new forms of personnel training. Third, even the structural reform has not dotted every “I,” so adjustments (probably even very substantial ones) may be needed in time. Arguably, the phrase “the army reform has been completed” will some day be uttered again, this time by Vladimir Putin.